Google recently announced their latest Operating System- The KitKat OS. The OS has got many updates like more faster, the UI has improved, faster app processing etc. It was launched with Google's latest flagship Google Nexus 5! There are many reasons that makes Android 4.4 KitKat a cooler Operating System. By cooler I didn't mean it's not warm! I mean it is better and attractive. The Jelly Bean series, 4.1 JB, 4.2 JB, 4.3 JB are having almost same features and there are almost no update in UI of 4.2 JB and 4.3. Okay so let's talk about some features of Android 4.4 KitKat. You know I'm more excited than you! The OS is released just now, that's why you cannot see KK in every device. Developers are trying to port it to some devices like Samsung, HTC, LG and other popular manufacturers's devices and there are very less scopes for Micromax, Karbonn, Lava, XOLO etc. to get KitKat update by developers because it needs to be get to their clones first, then only we can think. 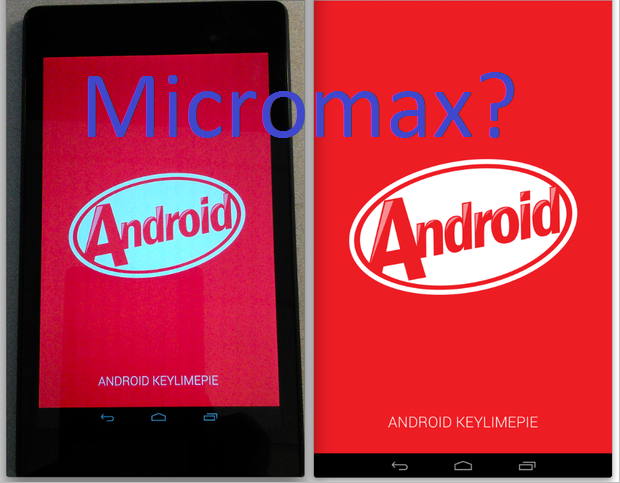 When will Micromax integrate KitKat Operating System in their Mobiles? Micromax phones are getting popular day after date because of their price and features. Mostly all the devices are MediaTek based that's why they are cheap. Also, very less MediaTek devices has got Android 4.4 KitKat update because MediaTek is lazy or they are not in planning to release 4.3 JB because it has nothing special! I don't think Micromax will integrate KitKat OS in their device until mid 2014 because they are not even releasing 4.3 Jelly Bean update for their 4.1/4.2 Jelly Bean devices. I don't know even they will get an update or not. This is no official news about it so we cannot say that they will get the update or not. But I'm sure Canvas Turbo will get the update because it's their latest flagship! As I said there is no official news about it, so I can't guaranty you about this article. We don't know they exact date of release or anything like that. And also there is no news from MMXNewscaster@Twitter. I think that they'll get the update. But there is everything in the hands on Micromax! After seeing the growth and the popularity of Micromax in Indian market, I think they will soon make devices with Android 4.4 only.